Intel plans to upgrade its existing chips and combine them with a new memory technology to help stave off competition from Advanced Micro Devices (AMD) and others, its data centre chief told Reuters. The world’s second-largest chipmaker by revenue has come to rely on the market for data centres - which help power most mobile and Web apps - for growth in recent years as the PC market has stagnated. But the company's shares dropped 8.5 per cent on July 27, after the data centre business missed Wall Street growth targets. Analysts expect AMD to eat in to Intel’s market share with its planned launch next year of chips with a tiny seven nanometers between transistors. Navin Shenoy, Intel’s data centre chief and a 23-year veteran of the chipmaker, will lay out Intel's plans to Wall Street analysts on Wednesday. His message will be that the data centre market is larger and faster-growing than the company previously thought, as he lays out expectations for that market and for the first time reveals Intel's revenue from fast-growing fields such as artificial intelligence. While the 10-nanometer chips are expected to give Intel a shot in the arm, they will not start shipping in large volumes until 2020. 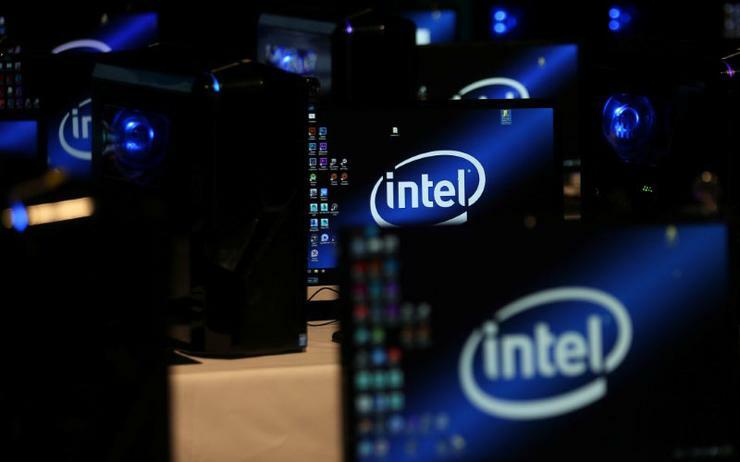 Until then, Intel believes its earnings growth can outpace the overall market's growth if the company focuses on improving its existing chips, Shenoy told Reuters ahead of the meeting. Shenoy, who took over the data centre business last summer, said he was surprised by the late July share drop after the second-quarter earnings report. "It wasn't that long ago that people were asking me how we were going to grow the data centre in double digits," he said, noting that the business grew by 26 per cent in the last quarter. Intel's plan rests on its ability to "stitch together" its CPUs, the processing brains, with its memory chips, its semi-customisable computing chips and its software offerings. The company also plans to tweak its chips to make them more competitive against offerings from Nvidia Corp for artificial intelligence work. Together they will compete in costs and computing horsepower with rivals' systems, Shenoy said. While Intel is behind in the chip size race, its processors are more capable than the numbers might indicate, and it is unlikely to lose its dominant place in data centres between now and 2020, said analyst Dan Hutcheson, CEO of VLSI Research Inc.
Read more: Why are businesses relocating data centres to Southeast Asia?